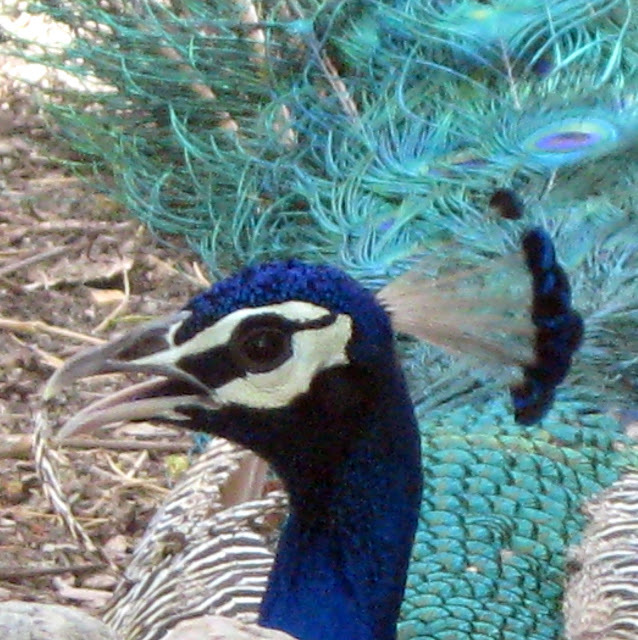 We have seen plenty of peacocks - both in the wild as well in zoos. At the Udaipur Zoo, the birds were peacefully having their siesta, and were totally unconcerned about all the ruckus around them. As we passed by the peacock enclosure, one of them looked up and cast such a disdainful glance at the spectators who were trying to rouse some of the sleeping birds, that I just had to take a pic!